Three dudes who used to work at the same convenience store are out bowling one night when they confess crimes to each other for literally no reason. They all succumb to fits of intense paranoia and proceed to live out the book’s title. 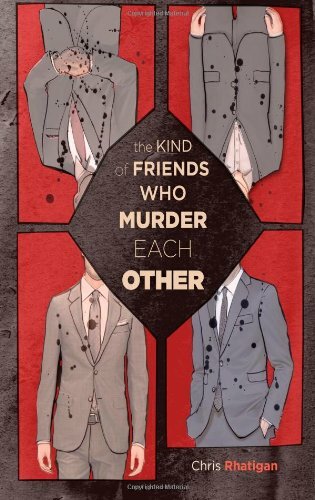 The Kind of Friends Who Murder Each Other is a weird noir exploration into clock-watching, friendship, smoking, minimum-wage jobs, nihilism, bad coffee, generic America, and boss-hating. At the end of this book, you will have learned zero life lessons. 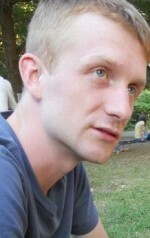 Chris Rhatigan is the editor of the crime fiction journal All Due Respect and the co-publisher of All Due Respect Books. He is the author of more than fifty published short stories and the novella The Kind of Friends Who Murder Each Other. His short story collection Wake Up, Time to Die was released in 2014 by BEAT to a PULP. His novella Pessimist is one half of the All Due Respect Books double novella publication you don't exist. His novella A Pack of Lies appeared in another All Due Respect Books publication, Two Bullets, along with Disco Rumble Fish by Ryan Sayles. His noir novella Squeeze was published in April of 2016.